Oh, You Don’t Have A Galaxy Nexus Yet? Because Woz Does. Woz Spotting. It’s something of a tradition amongst tech circles — or, at least, amongst my particularly geeky tech circle. 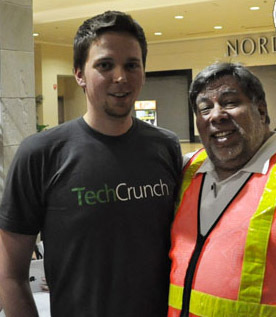 Any time someone spots Woz wozzin’ his way around the Valley, it feels weird not to tell everyone you know. It’s like spotting Kanye West, except instead of Kanye West it’s someone that people actually like. While Woz spottings rarely bubble up to the pages of TechCrunch, today’s sighting is particularly neat: he was on the Google campus. Better yet, he apparently left with a phone that pretty much no one else in the US has yet: the Galaxy Nexus. 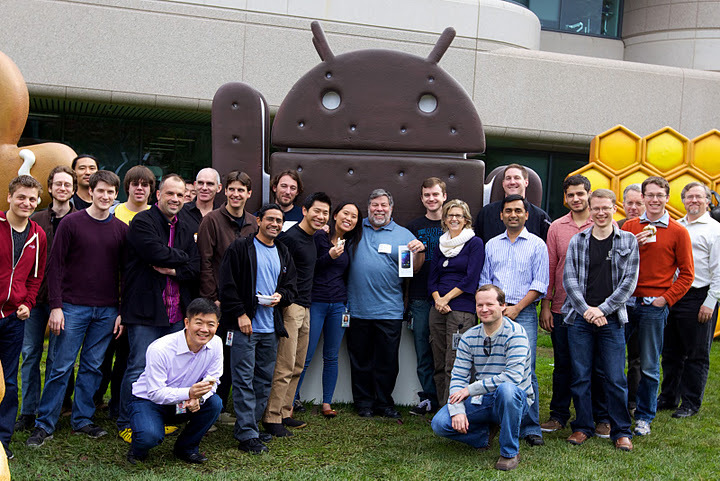 The photos, posted by Android UI Engineer Kirill Grouchnikov , show Wozniak holdin’ his Galaxy Nexus and what is said to be an Ice Cream Sandwich-themed shirt. Wozniak’s shiny new Nexus isn’t exactly a world exclusive — they started shipping in the UK about 24 hours ago. In the US, however, the Nexus is still limited to Googlers/Samsungers and a handful of lucky press folk (yes, including one of our own). There’s still no concrete word of a local release date.